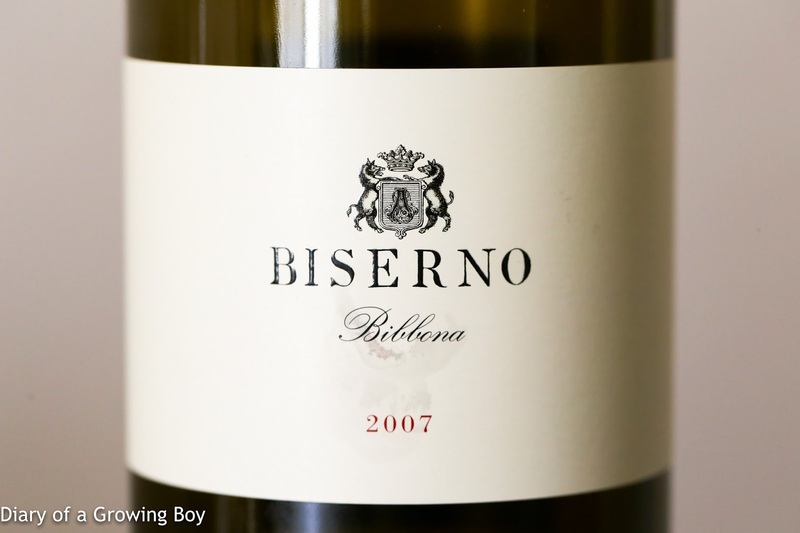 2007 Biserno - beautiful nose, with fragrant woodsy, cedar notes, and sweet fruit, dried herbs. Almost jammy. 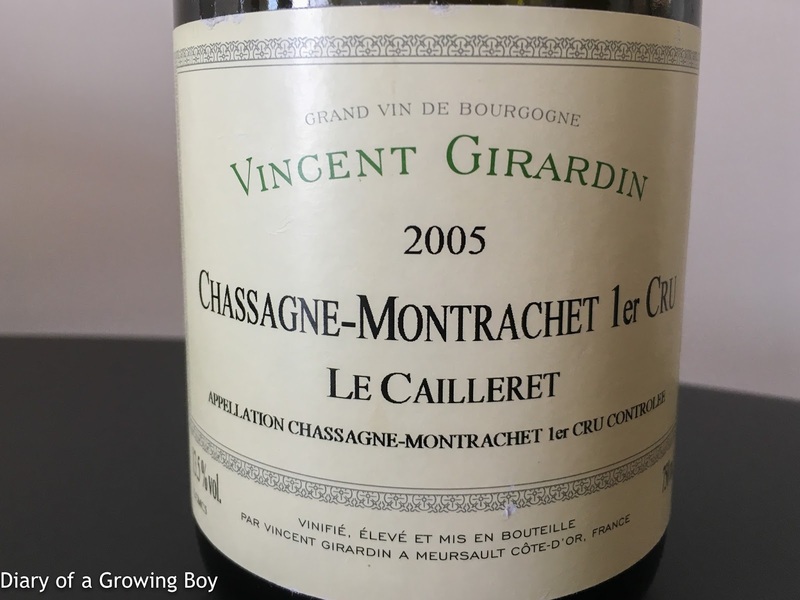 Drinking beautifully now. 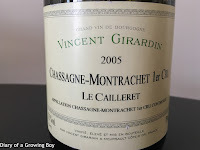 2005 Vincent Girardin Chassagne-Montrachet 1er Cru Les Cailleret - toasty, nice and sweet, honey, and lemon citrus.